In this video I am talking about Fears of Healthy Indulgence. In this video I am talking about Understanding The Depth of Your Health Journey. In this video I am talking about some of the negative impacts of food shaming and why it needs to stop. 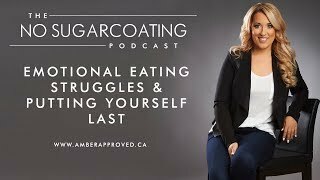 In this video I am talking about emotional eating struggles and putting yourself last. Talking about ending comparing ourselves and our health journey to other people's. Talking about the dangers of using cleanses and detoxes for weight-loss. Talking about how society can end up accepting a low quality of health as normal when it doesn't have to be. The power of the mind and how our emotions can contribute to physical imbalances and manifest potential physical symptoms. In this video I am exploring how a reactive mind to our physical symptoms can really contribute to our symptoms getting worse. In this video I am sharing about the costs of allowing our insecurities with body image limit our lives. In this video I am exploring how addicted we are to finding the fad diets and quick fixes that are going to fully fix our health and body. Exploring how distracting ourselves with fad diets, eating styles and quick fixes get in the way of us truly identifying the root causes of why our weight is stuck.